I still have to read my copy of Red Rising. Thrall looks really good. Enjoy your new books. 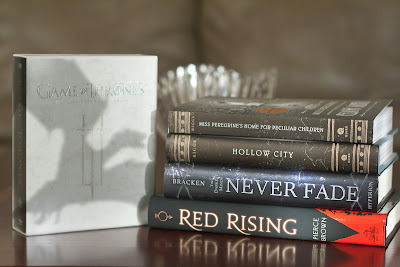 I heard so many wonderful things about Red Rising, I should try it Happy reading! The price was really sweet, and I couldn't pass it up. Thanks for dropping by! I have The Archived but not had the chance to read it yet. The reviews have been brilliant though. It sounds like such a creative story, and I'm looking forward to finally checking it out, especially with the sequel now available. Oooh! Never Fade! I can't wait to read that one. The pretty is sitting on my shelf, but since #3 is so far away, I don't want to give in and read it just yet. I hope you enjoy Red Rising:) Happy reading! I'm reading The Darkest Minds at the moment and loving it! I just had to have Never Fade ready to go as soon as I'm finished! Love your buys; I still haven't seen GoT Series 3! It was a brilliant season! I say that every season, lol, but this past one had so many memorable moments from the books. I can't wait for the start of Season 4! I've had The Archived on my reader for a while -- must get round to it! I hope you enjoy your new books. My STS, if you're interested. It's been on my TBR for ages. My library doesn't have a copy, either, so when I saw the eBook for $0.99, I grabbed it. I really want to read "Hollow City" but I haven't had a chance. Happy reading! The cover is so creepy; I love it! I've wanted to check out Miss Peregrine for a while, and both books had really good prices, so I figured this was the perfect opportunity to read them both. I'm kicking myself for putting off reading The Darkest Minds for so long. I hope Never Fade is just as amazing! Nice additions. You have a few there I wouldn't mind adding to my shelf. I wish I could read them all at the same time, but Never Fade is probably going to be next as soon as I finish the first book. 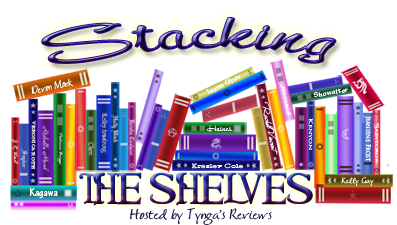 I've been really curious about the Archived for quite sometime now and also the Never Fade books :) Thanks for stopping by My Haul! 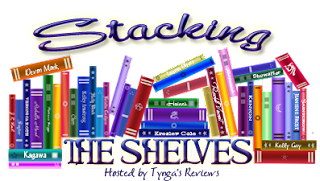 The Archived is one of those books that I'm dying to read but seem to keep putting off. Now that it's on my Kindle, I'm out of excuses to finally get to it, lol. I've seen a lot of positive reviews for it, so I'm hoping that I love it, too! Great haul! I got The Darkest Minds & The Archived for Christmas but I haven't managed to get to them yet. I really want to read Red Rising, have seen great reviews. I hope you enjoy all of your books :) My STS. The Darkest Minds is fantastic; I love the characters and the writing so much. Hope you get to read it soon! I really should start keeping track of how much of my paycheck goes toward books, not that knowing would stop me from buying them, lol. No worries! :D I COMPLETELY understand how hard it is to juggle reading/blogging with work. I'm so glad to hear that you've got a little break! 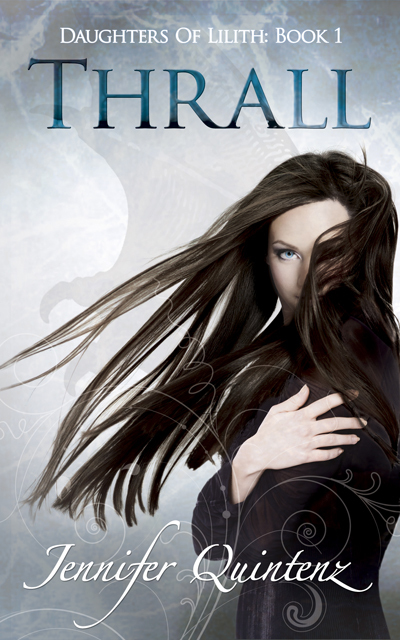 Yes, I totally jumped at the sale price for the eBook of The Archived! I've wanted to read it very badly for a long time, and I could not go wrong for 99 cents! I'm so excited to see that we're going to be able to compare thoughts on it! Great Haul! Almost all these are on my to-read list. Especially Miss Peregrine's Home for Peculiar Children. Happy Reading! It looks like such a creepy read, and so does Hollow City. I can't wait to start them!